Good evening! It's finally Friday and I am finally linking up with Doodle Bugs Teaching's Five for Friday linky. It's been quite a week at home and at work! 1. My friend Beth came back down to So Cal AGAIN for a long visit. I'm feeling awful spoiled getting to have her around all the time. I may go through withdrawals when she leaves this afternoon. But, as one last hurrah, she and my roommate brought me lunch at work today. And not just any lunch.... Yum!! 2. 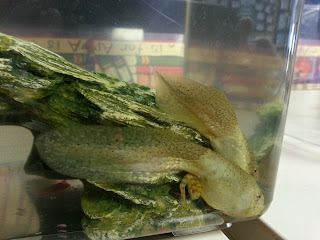 We're in the thick of studying about animals, life cycles, teeth, habitats, etc in science right now. 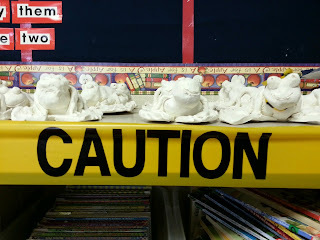 Therefore, these little guys finally made their grand appearance in our classroom. Meet Kris and Lesa (named by the kiddos). We always do a raffle-type selection for names. Each student gets to pick one name, writes it down, and puts it in my "magic bag." I then draw two names. I have to admit that I sometimes rig it... I know. Shame on me. But "Golden Ninja Lego?" You would rig it, too. (Though, I was really cheering for Lloyd this year. I had about four kids write that one down, and gosh darn it, I didn't draw it!). 3. 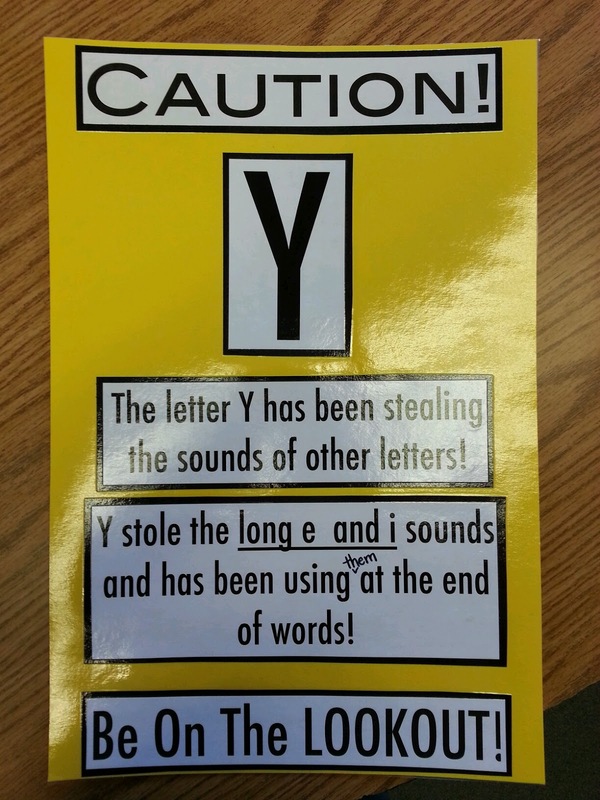 We also had our room decked out with caution tape all week long in honor of Robber Y. I saw the idea year or two ago for this poster and made one up for myself last year. It was so fun to pull it out again this year and see all of the excitement on my kiddos' faces for the letter y. 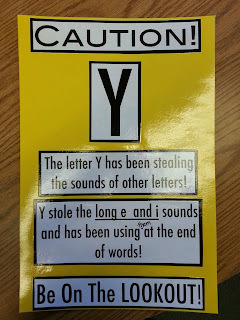 Who knew phonics could be so fun?! We sorted, wrote words, read words, graphed which we found more throughout the week, tree mapped... Beth and my roomie absolutely plastered my room with caution tape late last week and the kids were in awe all week long of our crime scene... And the little easter egg pieces of caution tape hidden all over the room. 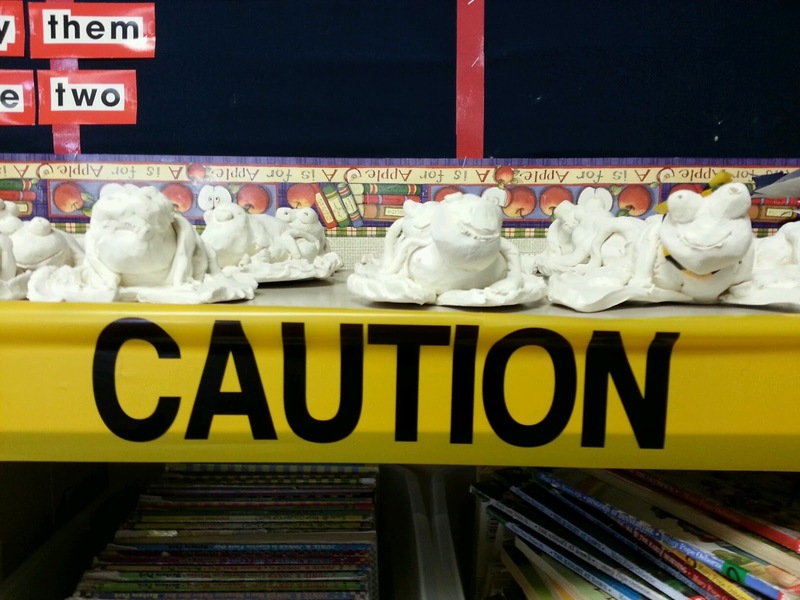 Notice the subtle little bow on our clay frogs? 5. Last, but my favorite event of the week, by far, my new car FINALLY arrived! Yay! I got myself this gorgeous little ride back in February, but had to wait for her to be built. Meet Lunar 1, as she has affectionately been named. She's so much fun to drive! Hope your weekend is off to a great start! Thanks for stopping by! LOVE the card and the name :) Great idea for naming the critters too - I was with you on Lloyd. Have a great w/e and glad you had some special time with your friend. 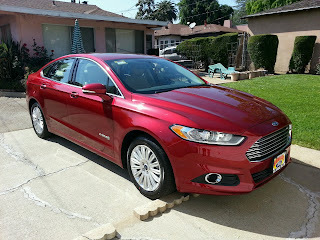 #1: I have been super spoiled! Bribing you to come to SEA then somehow convincing you that 18 hours in the car with me was a good idea...and to top it all off, I got to spend over a week with friends and family in the glorious weather of SoCal! My Kristi-withdrawals have lead me to start cooking. Not nearly as good as your food, but my place smells awesome!